Euclidean geometry « CONSTABLE RESEARCH B.V. When we Look with our Eyes and not with our Mind we can See that Space looks very different from what we Think it is. In Our Space Parallel Lines meet at Infinity. Around 1400 during the Renaissance Painters started to look at Space with their own Eyes and discovered the Rules of Perspective Drawing. 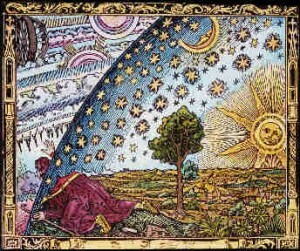 Between 1600-1800 Perspective Theory changed from a Theory of Art to a Theory of Mathematics called Projective Geometry. It took 400 Years before a few Mathematicians realized that Projective Geometry was the Foundation of Mathematics and it took another 100 years before Projective Geometry started to influence Physics. In 1908 Hermann Minkowski discovered that Einstein’s Theory of Special Relativity could be analysed using Projective Geometry. Minkowski created a 4D Space-Time Metric Geometry in which he added one Time Dimension. Many experiments now show that 4D-Space-Time is not sufficient to incorporate what Time Really is. The essence of Our Universe is Movement, Expanding Space, and Movement = Space/Time (Space Divided By Time). Both Time and Space are 3-Dimensional and represent a Different, Reciprocal, Complementary (Dual), View on Movement. We can move independently in Time OR Space and in Time AND Space (The Chronotope). The Future is Expanding Space with Infinite Potential. Time moves behind Space and Scales Space. A Mathematical Theory of Perspective Drawing could only be developed when the Renaissance freed painters to depict Nature in a way closer to what they Observed. In the Middle Ages Social Status was very important. Important People or Buildings were always emphasized. In the Renaissance the Artists started to look with their own Eyes and Created Pictures where the Viewer looked through the Eyes of the Painter. The Florentine architect Filippo Brunelleschi (1337-1446) studied Greek Geometry, developed a theory of perspective and undertook painting just to apply his geometry. The first treatise, Della pittura (1435) by Leone Battista Alberti (1404-72) furnished most of the rules. Alberti regarded mathematics as the common ground of Art and the Sciences. “To make clear my exposition in writing this brief commentary on painting,” Alberti began his treatise Della pittura, “I will take first from the mathematicians those things which my subject is concerned”. Alberti stressed that “all steps of learning should be sought from nature“. The ultimate aim of an artist is to imitate nature. Alberti did not mean that artists should imitate nature objectively, as it is, but the artist should be especially attentive to beauty, “for in painting beauty is as pleasing as it is necessary“. The work of art is according to Alberti so constructed that it is impossible to take anything away from it or add anything to it, without impairing the beauty of the whole. Beauty was for Alberti “the harmony of all parts in relation to one another,” and subsequently “this concord is realized in a particular number, proportion, and arrangement demanded by harmony“. Alberti’s thoughts on harmony were not new – they could be traced back to Pythagoras – but he set them in a fresh context, which well fit in with the contemporary Aesthetic Discourse. One of the earliest Artists to produce a book on how to draw in perspective was Albrecht Dürer. As well as discussing geometric methods, he also illustrated his book with a set of woodcuts showing practical tools for accurate perspective drawing. Other Artists like Leonardo Da Vinci developed comparable tools. Projective Geometry formalizes one of the Central Principles of Perspective Drawing and of Human Perception: Parallel Lines Meet at Infinity. In Euclidean geometry, constructions are made with Ruler (Line) and Compass (Circle). 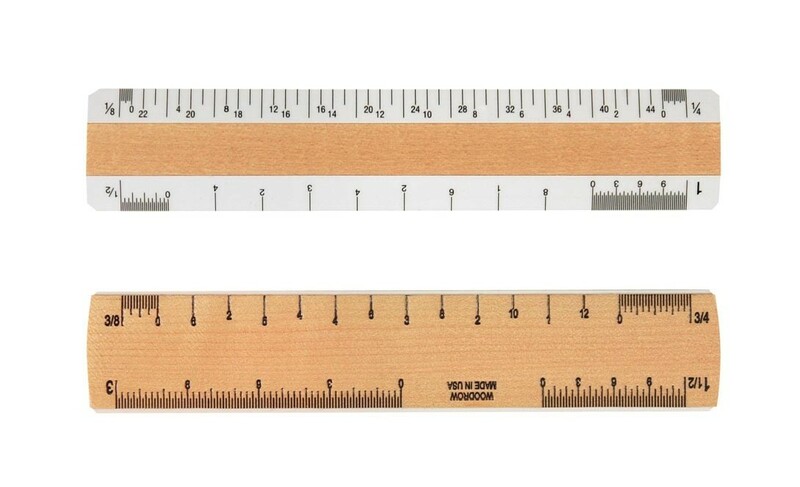 Projective Geometry only require a Ruler. In Projective Geometry one Never Measures Any Thing, instead, one Relates one Set of Points to another by a Line. Alberti was the first to ask what two pictures have in common if two drawing screens are interposed between the viewer and the object, and the object is projected onto both resulting in two different pictures of the same scene. The basic idea behind Linear Perspective is simple: in every painting an artist creates a “floor” or area of the painting where the figures and/or objects will be placed. The floor ends at a horizon line, and the horizon line has a Vanishing Point or Point of Convergence on it. The artist then draws parallel lines radiating from the vanishing point outward. Images closest to the vanishing point should appear smaller and closer together, and images farthest from the vanishing point should appear larger and farther apart, giving the impression of depth and space in the painting. Pappus of Alexandria ( 290 – 350), one of the last great Greek mathematicians of Antiquity, proved that that given one set of points A, B, C on a line, and another set of points a, b, c on another line, then the intersection points X, Y, Z of line pairs Ab and aB, Ac and aC, Bc and bC are also on a Line. This line originates at the Vanishing Point. Later Desargues (1591-1661) proved Pappus Theorem for Triangels. He proved that the three vertices of one triangle a, b, and c, and those of the other A, B, and C meet in a third point, and that these three points all lie on a common line called the Axis of Perspectivity. Later Blaise Pascal (1623-1662) proved Pappus Theorem for Conics (Circles, Parabola, Hyperbola) in his ”Essay on Conics” (1640) when he was 16 years of Age. Finally 400 years later in 1803 Lazare Carnot found the answer to the Question of Leone Battista Alberti. In his book “Géométrie de Position” he proved that the so called “Cross-Ratio” is always preserved in a Projection with One Point of View. The Cross-Ratio is the Ratio of the Ratio of the Four Points A,B,C,D lying on a Line that intersects the Four Lines defined by a,b,c,d that orginate at the Vanishing Point O. Carnot proved that (AB)(CD)/(AC)(BD) = (A′B′)(C′D′)/(A′C′)(B′D′). The Cross Ratio is not only the Cross-Ratio of the Four Points A,B,C,D. It is also the Cross-Ratio of the Four Lines and the Three Angles that originate out of the Vanishing Point. In this case (AB)(CD)/(AC)(BD)=Sin(AB) x Sin(CD)/Sin (AC) x Sin (BD). This principle is called Duality. In 2D-Projective Geometry Connected Points and Lines, called an Incidence, are interchangeable. There is a corresponding Duality in three-dimensional Projective Geometry between Points and Planes. Here, the line is its own Duality, because it is determined by either two points or two planes. 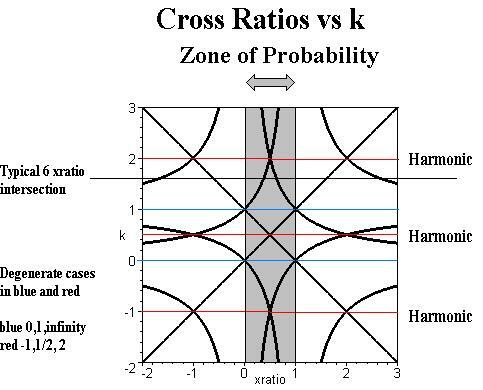 The Cross-Ratio k is dependent on the Order of the Four Points. It converges to 0 and infinity when k=1 and to -1/2 and 2 when k= -1. Two examples: 2D: Two distinct Points determine a unique Line and two distinct Lines determine a unique Point. 3-D: Three distinct Points not all on the same Line determine a unique Plane and three distinct Planes not all containing the same Line determine (meet in) a unique Point. The 24 Permutations of A,B,C and D produce 6 possible values of the Cross-Ratio, depending on the order in which the points are given. If k = 1, the other Cross-Ratio’s are 0 and infinity. This happens when point A = point D. In this case the Geometric Entity is an Equilateral Triangle. If k = -1, the other Cross-Ratio’s are -1/2 and 2. This is called a Harmonic Cross-Ratio. This happens when the Internal Ratio of AC determinated by B is Equal to the External Ratio of AC determinated by D. When k=-1/2 and 2 the Geometric Entity is a Square. If the Four Points of the Cross-Ratio are on a Line or a Circle, then the Cross Ratio is a Real Number, otherwise the Cross-Ratio is a Complex Number. In 1872 Felix Klein, published a new Mathematical Research Program called the Erlangen Program under the title Vergleichende Betrachtungen über neuere geometrische Forschungen. In this program Projective Geometry was emphasized as the Unifying Frame for all other Geometries. Although lines in the Projective Plane meet in one point of Infinity Klein argued that there could be two points of Infinity if the Projective Plane was a Surface Closed in Itself. When we look at the Origin of Projective Geometry, the Artist painting A Sphere, Earth, on a Flat Surface, it is not difficult to realize that this Closed Surface is a Sphere. Geometry is now divided into Four Layers. Each Layer adds a set of Assumptions that creates certain Invariants for that Layer. An invariant is a property of a configuration of Geometric Entities that is not altered by any transformation belonging to the specific layer. A transformation is an operation applied to a Geometric Entity. The most common transformations are Translation, Rotation and their Combinations (Reflection). What we will see is that the Four Points of the Cross-Ratio are highly related to the Four Layers. In Every Higher Layer One Point of the Cross-Ratio is moved to the Internal Landscape, the Mind, of the Observer. This principle is called “As Within so Without“. The First and most fundamental Layer is the Layer of Projective Geometry. This is the Layer of Human Perception and is invariant under the Cross-Ratio also called a Moebius Transformation. The Second Layer is called Affine Geometry. In this layer Parallel Lines are preserved and the Assumption of a Plane at Infinity, the Horizon, is created. This Plane generates Parallel and Orthogonal Relationships between Geometric Entities by placing One of the Four Points of the Cross-Ratio in the Plane at Infinity. Affine Geometry is Euclidean Geometry with congruence (something is the same when Shape and Size are the Same) and a metric (a definition of a Distance) left out. An affine transformation preserves straight lines and ratios of distances between points lying on a straight line. This the layer of the Emotions, “the harmony of all parts in affinity to one another” of Leone Batista Alberti. In Affine Geometry the Frame of Reference of the Painter, the Floor, is created. On this Floor, the Horizon, the Plane at Infinity is drawn. From the Point of View of the Observer, it is not possible to Judge Distance or the-Sameness because a given Visual Object may be Large and Far away or Small and Close. The Third Layer, Metric Geometry, adds the concept of Distance (Metric, Scale) to the Affine Layer. A Distance is a relation between Two Points of the Cross-Ratio. This is the Layer of the Painter, Creator, Observer, who creates his own Distance to the Distances he is Painting in the External Frame he is looking at. Since Projective Space is the Space of Actual Perception, the true function of Metric Space is the Coordination of Various Perspectives. This is illustrated in Perspective Drawing, in which there are always Two Perspectives being Coordinated—the Vanishing Point and a Point just behind the Eyes of the Observer. Each of these is an instance of the One Point at Infinity. The Expectation looks through a Small Hole. The last, Fourth, Layer is the layer of Euclidian Geometry. In Euclidean Geometry Distance is Fixed (not Relative) and Scaled to a Unity (Meters). This leaves us with just One Point of the Cross-Ratio, the Unity, the One. Between 1926 and his death in 1983 Alfred Tarski worked on the Axiomatization of Euclidean Geometry. In Tarski’s system there is only one type of Object: the One, The Point. There are just two Geometrical notions between Points: the Ternary Relation of “in-Betweenness” and the Quaternary Relation of “Equidistance” or Congruence. Betweenness captures the Affine aspect of Euclidean Geometry; Equidistance/Congruence, its Metric aspect. This is the Layer of the Human Expectation who has not Distanced Itself and is Looking Outside Through a Small Hole at the Future. The Expectation considers the Future as an Extension of the Past (Memory). In Euclidian Geometry we have to Move Outside to the Objects to Measure their Distance and the Sameness with a Pre-Defined Unity. If we don’t move to the Object we will measure an Illusion. The Ancient Sumerians knew that the Length of one side of a Hexagon is the same length as is the Radius of the Circle that circumscribes this Hexagon (See Pascals Theorem). They also knew that the Stars of the Constellations of the Zodiac shift Counterclockwise, at the rate of 72 years/degree, because of the Precession of the Earth’s axis. One Wobble takes 25.920 years. The length of one side of the Earth Hexagon is therefore the Distance traveled by the Constellations of the Zodiac along the horizon during 25.920/6=4,320 years. They then subdivided this distance by 7,200 which produced the Royal Mile that was subdivided into 1,760 Royal Cubits. Before 3.117 BC the complete Earth was covered with a uniform Geodesic System that was based on the Rotation and Precession of the Constellations of the Zodiac. This System was implemented in the Megaliths. At that Time Space was measured by Time. 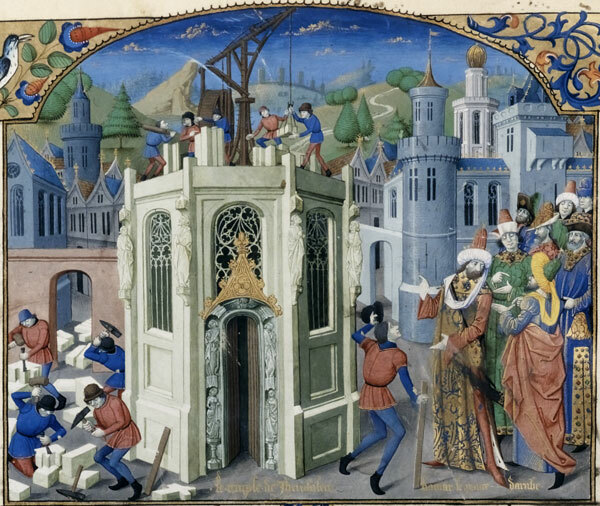 The Physical System of the Megaliths was destroyed by the Great Flood of 3.117 BC but the Metric System survived thousands of years until the French Revolution. On the 8th of May, 1790, Charles Maurice de Talleyrand at the end of the French Revolution, proposed before the National Assembly in Paris a Change to a Decimal Measurement System. The Academy of Science recommended that the new definition for a Meter be equal to 1/10,000,000 of the distance between the North Pole and the Equator, and this was accepted by the National Assembly in 1791. From that Time on Space was measured by Space. A Painter or a Human always looks Forwards in Space. If there are Parallel Lines visible they all Converge to a Vanishing Point at The Horizon. The Horizon is a Parallel Line at Infinity. We all know that the Parallel Line of the Horizon is caused by the fact that the Earth is a Moving Sphere. This Moving Sphere moves around other Spheres that move around other Spheres. The Rotation of the Spheres in Space is used as a Clock. Every time when the Cycle of the Spheres repeats itself we add one unit to a standard Time-Measure. One Sun Cycle is named a Year. One Cycle of the Precession takes 25,920 Years. We Measure our Time by the Cyclic Movement of Objects in Space. The Cyclic Movements caused by the Rotations of Objects around Objects (around Objects) is really a Rotating Rotating Rotation, a Spiraling Spiral. We don’t live in the Sphere but we live and Move on the Surface of a Moving Sphere. 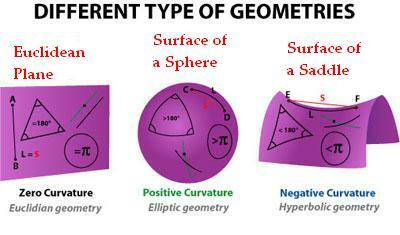 That is why our Geometry is an Elliptic Geometry (or Projective Geometry). 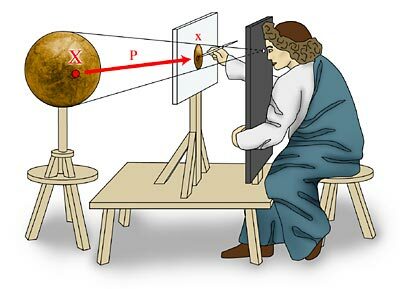 Euclides and Pythagoras were aware of Projective Geometry (See also Pappus) but the Scientists of the Enlightenmentstarted to interpret their Theory with a Different Eye. They saw Numbers in a completely different way the Greek did. The Scientist disconnected Number from Magnitude (Form) and created an Abstract Static Number Theory and an Abstract Static Theory of Physics. The Movement of our Universe, the Ether, came to a stilstand. The Theory of Perspective Drawing, based on our Real Perception of Reality, is the same theory that generated Projective Geometry. We are now back to Normal again. In the blog about Geometric Algebra I wrote about a very Independent Thinker called Dewey B. Larson. He reinvented Physics and Projective Geometry in his own way, Calculated all the well known Physical Constants and based his Theory on a simple well know Assumption that Space and Time are Reciprocal (A Ratio of Ratio’s , the Cross-Ratio) because Velocity= dS(pace)/dT(ime). Moving Movement is the Essence of our Reality. What Larson calls “Motion” is the Ether Wind (or the Higgs Field) the Velocity which was measured in the North-South (Z) direction at 208 km/s in 1933 by Dayton C. Miller. Einstein believed the results of the Michelson-Morley Experiments in 1887 that “proved” that the Moving Ether was non-existent. Now we know that the experiments were wrong. Einstein also did not believe that Space was Expanding. At this moment the Expanding Universe is confirmed by many observations. When Space Expands, Time Compresses and fills up the Space to Keep Balance. Time Scales Space. Space moves to Infinity. Time Moves to the Inverse of Infinity, Zero. Space is measured by the Linear Visible Scalar Number-System. Time is Measured with the Rotational Invisible Imaginary Number System. 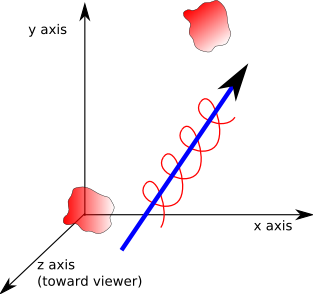 Expanding Space is Linear Motion. Time is the Spiraling Motion of the Vortex. Space is Yang and Time is Yin. Yin is feminine, Curved, Rotational, smooth or cold. Yang is masculine, Straight, Linear, rough or hot. Space and Time are Complementary Duals that Move Around the Void. If we look at the Human Perspective we now are able to understand what Time and Space Really are. When we Look Forward we Experience Space. Time is always Behind our Back. Human Senses and Conventional, Scientific Equipment can only Look Forward and therefore Measure Space (Distance) and the Change of Space (Velocity, Acceleration). This is a Limitation of our Physical Sensory System, which evolved to measure Space, Scaled by Time, to produce what we Perceive as Causality–a Linear Ordering of Events. Without the Cause-and-Effect System, the Sensory World of Space would just become Chaos. Time, History, is Always Behind Us and Space, The Future, The Adjacent Possible, with Infinite Possibilities, is Always in Front of Us. We have lost the relationship between Number and Form or Number and Magnitude as the Ancient Greeks called their Forms. A few years ago a Revolution in Mathematics and Physics has started. This revolution is caused by Geometric Algebra. In Geometric Algebra the Ancient Theories of Euclid and Pythagoras are reevaluated. Numbers are Scalar (Quantum) Movements of Geometric Patterns and not Static Symbols of Abstractions that have nothing to do with our Reality. Movements and not Forces are the Essence of Physics. 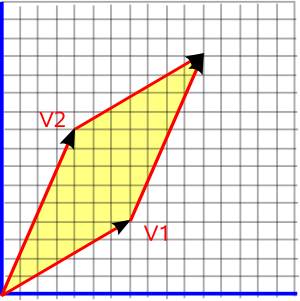 The basic rule Movement = Space/Time (v=s/t) shows that Time and Space are two Reciprocal 3D-Spaces. Our Senses Experience Space and not Time. The Simple Rule N/N=1/1=1 balances the Duals of Space and Time. One Unit Step in Space is always Compensated by One Unit Step in Time. Geometric Algebra has a strange relationship with Pascals Triangle. This Triangle, also called the Binomial Expansion, contains all the Possible Combinations of two Independent Variables. Our Universe is a Combination of Combinations exploring Every Possibility. The last and perhaps most important Discovery in Mathematics called Bott Periodicity shows itself in Pascals Triangle. Bott Periodicity proves that we live in a Cyclic Fractal Universe, the Wheel of Fortune, that is Rotating around the Void, the Empty Set. The Empty Set contains Every Thing that is Impossible in our Universe. This blog is not a Scientific Article. I have tried to connect the Old Sciences and the New Sciences in my own Way. It contains many links to Scientific Articles and even Courses in Geometric Algebra. So if you want to Dig Deeper Nothing will Stop You. Every Thing was created out of No Thing, the Empty Set, ɸ, the Void, the Tao. The Empty Set contains 0 objects. The Empty Set is not Empty. It contains Infinite (∞) Possibilities that are Impossible. Every impossibility has a probability of 0 but the sum of all possibilities (1/∞=0) is always 1. In the beginning ∞/∞ =1 or ∞x0=1. This relationship is represented by the Dirac Delta Function. It is used to simulate a Point Source of Energy (a Spike, an Explosion) in Physics. 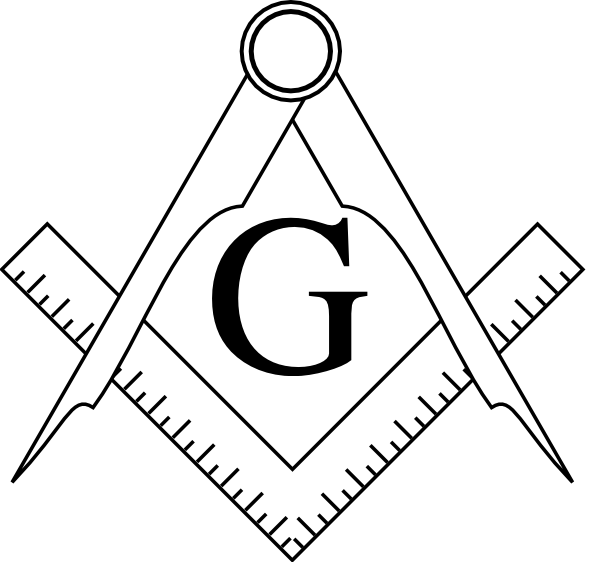 The Delta is reprented by the Symbol Δ, a Triangle. The Delta is called Dalet in the Phoenican and Hebrew Alphabet. Daleth is the number 4 and means Door. The original symbol of the Delta/Daleth contains two lines with a 90 Degree Angle. Two orthogonal lines create a Square or Plane. The Dirac Delta Function is defined as a Square with an Area of 1, a Width of 1/n and a Height of n where n->∞. The Dirac Delta Function is a Line with an Area of 1. In the Beginning a Huge Explosion took place that created the Universe. The Dirac Delta Function δ (x) has interesting properties: δ (x) = δ (-x), δ (x) = δ (1/x). It has two Symmetries related to the Negative Numbers and the Rational Numbers. When we move from 2D to 1D, the Number Line, the Delta Function becomes the Set of the Numbers N/N =1. The Monad (1) of the Tetraktys of Pythagoras, the Top of the Triangle, was created by Dividing the One (1) by Itself without Diminishing itself. The Monad (1/1=1) is part of the 1D Delta Function. Creation is an Expansion of the 1/1 into the N/N, adding 1/1 all the time, until ∞/∞ is reached. At that moment every Impossibility has been realized. To move Back to the Void and restore the Eternal Balance of the One, Dividing (Compression) has to be compensated by Multiplication (Expansion). At the End of Time N/M and M/N have to find Balance in the N/N, move Back to 1/1, Unite in the 0 and become The Void (ɸ) again. The big problem of the Numbers is that they sometimes behave very differently from what we Expect them to do. This Strange Behavior happens when we try to Reverse what we are doing. It looks like the Expansion of the Universe of Numbers is Easy but the Contraction creates many Obstacles. It all starts with the Natural Numbers (1,2,3,). When we Reverse an Addition (Subtract) and move over the Line of the Void Negative Numbers appear. Together with the Natural Numbers they are called the Integers. The same happens when we Reverse a Division and the Fractions (the Rational Numbers) (1/3, 7/9) suddenly pop up. An Integer N is a Rational Number divided by 1 (N/1). The Integers are the Multiples of 1, the Fractions are its Parts. Numbers behave even stranger when we want to Reverse a Repeating Repeating Addition (Irrational Numbers) and want to calculate a Rational Power (2**1/2). The Complex Numbers (or Imaginary Numbers), based on the Square Root of -1 called i, are a combination of the Negative Numbers and the Irrational Numbers. Irrational Numbers ( the Pythagorean Theorem), Fractions (a Piece of the Cake) and Negative Numbers (a Debt) are part of our Reality but the Strange Number i represents something we cannot Imagine. In the beginning the only One who was in existence was the 1. When the One divide itself again the number -1, the Complement of 1, came into existence. 1 and -1 are voided in the No Thing, the Empty Set, 0: -1 + 1 = 0. The Two, the Duality, both started to Expand in Two Opposite Directions (<– and +->) both meeting in the ∞/∞. This expansion is what we call Space. Space is a Combination of the Strings S(1,1,1,1,1,…) and -S = (-1,-,1,-,1,-1,…) where S+S=(0,0,0,0,0,0,…). The Expansion pattern of Space is a Recursive Function S: S(N)=S(N-1)+1 in which + means concatenate (or add) the String “,1″. An Addition X + Y is a concatenation of S(X) and S(Y). A Substraction X-Y is a concatenation of S(X) and -S(Y). In the last case all the corresponding combinations of 1 and -1 are voided. (1,1,1,1)-(1,1,1)=(0,0,0,1)=(1). Multiplication XxY is Adding String S(Y) every time a “1″ of S(X ) is encountered: 111 x 11 = 11 11 11. Dividing X/Y is Subtracting S(X) every time a “1″ of S(Y) is encountered:.111 111 1/111=11 1/111. In the last example a Fraction 1/111 appears. This Number System is called the Unary Number System. The Strange Behavior of Numbers is caused by the Limitations of our Memory System. We are unable to remember long strings that contain the same Number. To make things easy for us we Divide Space into small Parts so we were able to Re-Member (Re-Combine the Parts). When we want to Re-member, Move Back in Time, we have to Compress Expanding Space. Time and Space have a Reciprocal Relationship called Movement (Velocity = Space/Time). There are many ways ( (1,1,1), (1,1,1),..) or ((1,1),(1,1))) to Compress a String in Repeating Sub-Patterns. In the blog About the Trinity I showed that the most Efficient Way to group the One’s is to make use of a Fractal Pattern (a Self Reference) and Groups of Three Ones. The Trinity applied to the Trinity ( A Fractal) is a Rotating Binary Tree. Binary Trees represent the Choices we make in Life. The rotating Expanding Binary Trees generate the Platonic Solids (see linked video!) when the (number)-parts of the Binary Tree Connect. When we connect Three Ones (1,1,1) by Three Lines (1-1,1-1,1-1) a 2 Dimensional Triangle Δ is Created. If we take the Δ as a new Unity we are able to rewrite the patterns of 1′s and -1′s into a much Shorter Pattern of Δ’s and 1′s: (1,1,1),(1,1,1),(1,1,1), 1,1 becomes Δ,Δ,Δ,1,1. We can repeat this approach when there is still a Trinity left: Δ,Δ,Δ,1,1 becomes ΔxΔ,1,1. This Number System is called the Ternary Number System. According to Euclid “A Ratio is a sort of relation in respect of size between two magnitudes of the same kind“. A Magnitude is a Size: a property by which it can be compared as Larger or Smaller than other objects of the Same Kind. A Line has a Length, a Plane has an Area (Length x Width), a Solid a Volume (Length xWitdth x Height). For the Greeks, the Numbers (Arithmoi) were the Positive Integers. The objects of Geometry: Points, Lines, Planes , were referred to as “Magnitudes” (Forms). They were not numbers, and had no numbers attached. Ratio, was a Relationship between Forms and a Proportion was a relationship between the Part and the Whole (the Monad) of a Form. Newton turned the Greek conception of Number completely on its head: “By Number we understand, not so much a Multitude of Unities, as the abstracted Ratio of any Quantity, to another Quantity of the same Kind, which we take for Unity”. We now think of a Ratio as a Number obtained from other numbers by Division. A Proportion, for us, is a statement of equality between two “Ratio‐Numbers”. This was not the thought pattern of the ancient Greeks. When Euclid states that the ratio of A to B is the same as the ratio of C to D, the letters A, B, C and D do not refer to numbers at all, but to segments or polygonal regions or some such magnitudes. The Ratio of two geometric structures was determinated by fitting the Unit Parts of the first geometric Stucture into the Other. 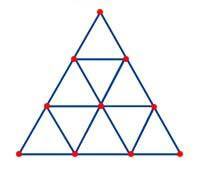 The Perfect Triangle of the Tetraktys contains 9 = 3x3 Triangels. A Triangle contains 3 Lines and 3 Points. An Example: The Tetraktys is a Triangle (A Monad) and contains 9 Triangles (a Monad). The 1x1x1-Triangle Δ, a Part of the Tetraktys, is Proportional to the Whole of the Tetraktys (T) and has a Ratio T/Δ = 3= Δ -> T = Δ (3) x Δ (3) = 9. The Mathematics of Euclid is not a Mathematics of Numbers, but a Mathematics of Forms. The symbols, relationships and manipulations have Physical or Geometric Objects as their referents. You cannot work on this Mathematics without Knowing (and Seeing) the Objects that you are Working with. Hermann Grasmann lived between 1809 and and 1877 in Stettin (Germany). Grassmann was a genius and invented Geometric Algebra a 100 years before it was invented. In his time the most important mathematicians did not understand what he was talking about although many of them copied parts of his ideas and created their own restricted version. None of them saw the whole Grassmann was seeing. When he was convinced nobody would believe him he became a linguist. He wrote books on German grammar, collected folk songs, and learned Sanskrit. His dictionary and his translation of the Rigveda were recognized among philologists. Grassmann took over the heritage of Euclid and added, Motion, something Euclid was aware of but could not handle properly. Grassmann became aware of the fact your hand is moving when you draw a 2D Geometric Structure. He called the Moving Lines, that connect the Points, Displacements (“Strecke”). In our current terminology we would call the Displacements “Vectors”. Vector algebra is simpler, but specific to Euclidean 3-space, while Geometric Algebra works in all dimensions. 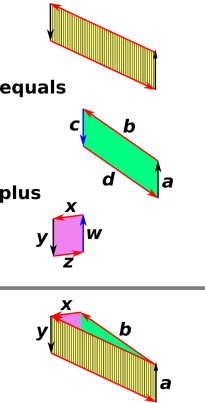 In this case Vectors become Bi/Tri or Multi-Vectors (Blades). The Trick of Grassmann was that he could transform every transformation on any geometrical structure into a very simple Algebra. Multi-Dimensional Geometric Structures could be Added, Multiplied and Divided. The Greek Theory of Ratio and Proportion is now incorporated in the properties of Scalar and Vector multiplication. About a 100 years later David Hestenes improved the Theory of Grassmann by incorporating the Imaginary Numbers. In this way he united many until now highly disconnected fields of Mathematics that were created by the many mathematicians who copied parts of Grassmanns Heritage. Grassmann did not pay much attention to the Complex Numbers until he heard of a young mathematician called William Kingdon Clifford (1845-1879). Complex numbers are ,just like the Rationals (a/b), 2D-Numbers. A Complex number Z = a + ib where i**2=-1. Complex Numbers can be represented in Polar Coordinates: Z = R (cos(x) + i sin(x)) where R = SQRT(a**2 + b**2). R is the Radius, the Distance to the Center (0,0). When you have defined a 2D-complex Number it is easy to define a 4-D-Complex Number called a Quaternion: Z = a + ib + jc + kd or a 8-D Complex Number called an Octonion. William Rowan Hamilton, the inventor of the Quaternions, had big problems to find an interpretation of all the combinations i, j and k until he realized that i**2 =j**2 = k**2 = ijk=-1. What Hamilton did not realize at that time was that he just like Grassmann had invented Vector Algebra and Geometric Algebra. This all changed when William Kingdon Clifford united everything in his new Algebra. Clifford’s algebra is composed of elements which are Combinations of Grassman’s Multivectors. The Clifford Algebra that represents 3D Euclidean Geometry has 8 = 2**3 components instead of 3: 1 number (Point), 3 vectors (Length), 3 bivectors (Area) and 1 trivector (Volume). It turns out if you use combinations of these elements to describe your geometric objects you can do the same things you did before (you still have 3 vector components). In addition, you can have additional data in those other components that let you find distances and intersections (and a lot of other useful information) using simple and (computationally) cheap numerical operations. The most important Insight of William Kingdom Clifford was that the Complex Numbers are not Numbers all. They are Rotations in higher Dimensional Spaces. The String 1,3,3,1 of Clifford’s 3D Geometry is related to the 4th Level of Pascal’s Triangle. Level N of Pascal’s Triangle represents N-1-Dimensional Geometries. The Sum of every level N of the Triangle is 2**N. This Number expresses the Number of Directions of the Geometric Structure of a Space with Dimension N.
A Point has 0 Direction, while a Line has 2 Directions, relative to its Center point, a Plane has 4 Directions, relative to its Center Point, and a Cube has 8 directions, relative to its Center point. Pascal’s Triangle is also called the Binomial Expansion. This Expansion shows all the Combinations of two letters A and B in the function (A+B)**N. Level 1 of the Triangle is (A+B)**0 = 1 and level 2 is A x A + 2 A x B + B x B -> 1,2,1. The Binomial Expansion converges to the Bell-Shaped Normal Distribution when N-> ∞. The Diagonals of Pascal’s Triangle contain the Geometric Number Systems (Triangular Numbers, Pyramid Numbers, Pentatonal Numbers, ..) and the Golden Spiral of the Fibonacci Numbers. Pascal’s Triangle is a Repository of all the Possible Magnitudes and their Components. The Normal Distribution shows that the first level of the Triangle (the Tetraktys) is much more probable than the last levels. The first four Levels of the Triangle of Pascal contain the Tetraktys of Pythagoras. 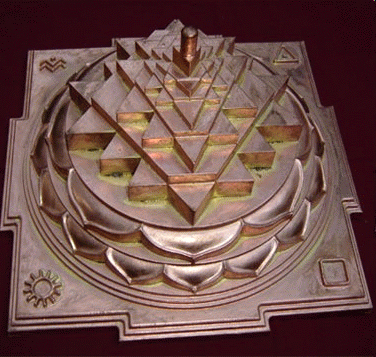 The Tetraktys is an Ancient Vedic Mathematical Structure called the Sri Yantra, Meru Prastara or Mount Meru. The Complex Numbers are not “Numbers” (Scalars) at all. They are “Operations” (Movements) that can be applied to Magnitudes (Geometries) and Magnitudes are Combinations of the Simple Building Blocks of the Tetraktys, Points and Lines. The Tao of Ancient China was not for nothing represented by a Flow of Water. According to the Ancient Chinese Mathematicians Every Thing Moves. In the Beginning there was only Movement. In the Beginning only the One was Moved but when the Duality was created the Two moved around each other never getting into contact to Avoid the Void. When we look at the Numbers we now can see that they are the result of the Movements of the first Diagonal of Pascals Triangle, the 1′s (Points) or better the Powers of the One: 1 **N (where N is a Dimension). Even in the most simple Number System, the Unary Number System, Concatenation is an Operation, An Algorithm. The Mathematician John Conway recently invented a new Number System called the Surreal Numbers that contains Every Number you can Imagine. The Surreal Numbers are created out of the Void (ɸ) by a simple Algorithm (Conway calls an Algorithm a Game) that describes Movements (Choices of Direction: Up, Down, Left, Right, ..) that help you to Navigate in the N-Dimensional Number Space. The Ancient Chinese Mathematicians played the same Game with the Numbers. Algorithms were already known for a very long time by the Ancient Vedic Mathematicians. 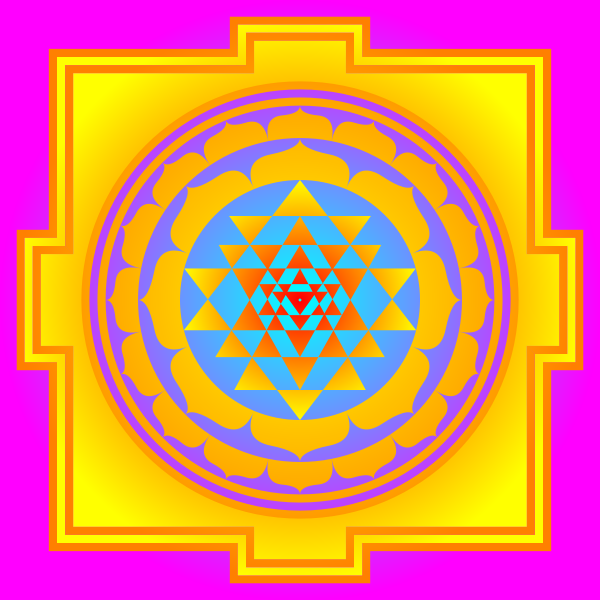 They called them Yantra’s. Geometry is concerned with the Static Forms of Lines and Points but there are many other more “Curved” forms that are the result of Rotating Expansion and Compression. These forms are researched by the modern version of Geometry called Topology. 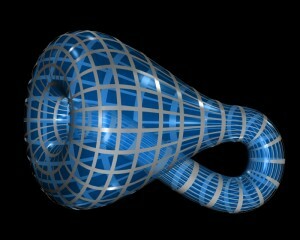 The most interesting 4D Topological Structure is the Klein Bottle. The Klein Bottle is a combination of two Moebius Rings. It represents a Structure that is Closed in Itself. It can be constructed by gluing both pairs of opposite edges of a Rectangle together giving one pair a Half-Twist. The Klein Bottle is highly related to the Ancient Art of Alchemy. The movement of the Duality around the Void can be represented by a Moebius Ring the Symbol of Infinity ∞. Later in this Blog we will see why the Number 8 is a Rotation of ∞ and the symbol of Number 8 is a combination of the symbol of the number 3 and its mirror. First we will have a look at the Reciprocal Relation between Space and Time. The Klein Bottle, The Universe Closed in Itself, the Basic Structure behind Alchemy. Dewey B. Larson (1898 – 1990) was an American Engineer who developed the Reciprocal System of Physical Theory (RST). Larson believed that the failure to recognize that Motion is the most basic physical constituent of the universe has handicapped the progress of the traditional study of physics, which focuses on Forces. The definition of Motion stems from the Equation of Velocity, v = ds/dt. Instead of depending upon the change of the location of an object to define an arbitrary “quantum” of space per “quantum” of time, such as miles per hour, or meters per second, the RST assumes that the observed universal passage, or progression, of time is one aspect of a universal motion that necessarily must be accompanied by a universal “passage,” or progression, of space. The Units of Time fill up the Units of Space. Space and Time are Duals. Space is not-Time and Time is not-Space. Time is Non-Local, Cyclic and represented by the Rotating Imaginary Numbers. Space is Local, Linear and Represented by the Scalar Numbers. Space is the Vacuum and the Nothing and Time is the non-vacuum, the Every Thing, the Solids represented by the Cube of Space. The Cube of Space is the structure behind the Tetraktys but also behind the Book of Genesis. Our Reality contains two Reciprocal 3D-structures related to Space and Time. Space and Time are related by the Simple Formula N/N=1/1=1, the Formula of Diracs Delta Function. We are able to perceive the Real 3D-Structure of Space. The 3D-Structure of Time is Imaginary. It is situated in the Imaginary Number Space of i.
Larson’s Cube, the Geometric Representation of the Octonion. Larson, a Self Thought Genius like Grassmann, developed Geometric Algebra without knowing anything about Geometric Algebra but he also invented String Theory long before String Theory was invented. The Mathematics of Larson is also the Mathematics of the Tetraktys of Pythagoras without even knowing anything about it. Larson was able to Calculate all the important Physical Numbers without any problem and was also able to Calculate Chemical Structures and Reactions. The fourth line of Pascals Triangle and the Tetraktys contains 8 Directions in the Four Geometric Dimensions: 0, 1, 2, and 3. Mathematicians are intrigued with this number 8, because they find it popping up unexpectedly in advanced mathematics. In fact, expanding the Binomial Expansion to 8 dimensions just creates an inverse copy of these first Four Dimensions, and then the pattern just repeats itself with a half-twist and back from there, ad infinitum. This is called Bott Periodicity discovered by the mathematician Raoul Bott (1923-2005). The mathematician John Baez wrote an article in which he relates this 8-fold Periodicity to the Scalars (1), the Complex Numbers (2), the Quaternions (2×2), and the Octonions (2x2x2 = 2**3). The Universe of Numbers and Magnitudes is Cyclic and Fractal. Our own Reality, symbolized by the Tetraktys, repeats itself in Higher Dimensions until Infinity. The Tetrad, represents Completion, because it contains all its Previous Numbers, the 1, 2, 3, and itself, 4, in One Number, 10 = (The One) + 9 (= 3 (Trinity)x 3 (Trinity) = Tetraktys). 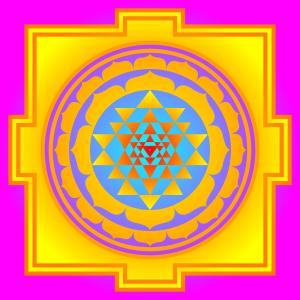 As you can see in the Picture above the Fractal Pattern of 8 contains two kinds of Trinities/Triangles, an Upside and a Downside (Rotated by 180 Degrees) Triangle. When you Rotate by 180 Degrees the 1 becomes -1 and 1 + -1 =0 is the Void. 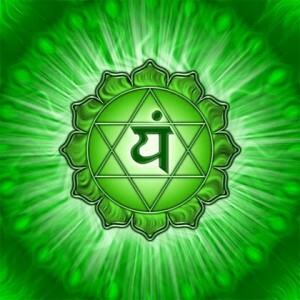 The Star of David, the Symbol of Human Center, the Heart Chakra. The Multi Dimensional Rotations of the Octonions always Come Back to Square 1/1=1, the One and keep Rotating around the Center, the Nothing, Until Infinity. If you search the Internet with the phrase “What is an Event” nobody is able to give an answer. Most of the time an Event is simply “Something that Happens“. If we look at the Dutch Language an Event is called a “Gebeurtenis“. The Dutch verb “beuren” means “to bear“. In Dutch an Event is a Bearing. Bear: O.E. beran “bear, bring, wear” (class IV strong verb; past tense bær, pp. boren), from P.Gmc. *beranan (cf. O.H.G. beran, O.N. bera, Goth. bairan “to carry”), from PIE root *bher- meaning both “give birth” (though only Eng. and Ger. strongly retain this sense, and Rus. has beremennaya “pregnant”) and “carry a burden, bring”. Many senses are from notion of “move onward by pressure.” O.E. past tense bær became M.E. bare; alternative bore began to appear c.1400, but bare remained the literary form till after 1600. Past participle distinction of borne for “carried” and born for “given birth” is 1775. Ball bearings “bear” the friction; bearing “way of carrying oneself” is in M.E. Strangely enough an Event is related to the Birth of Something. An Event is Happening when Something is Set into Motion by Pressure (Tension). An Event is an Act of Creation. 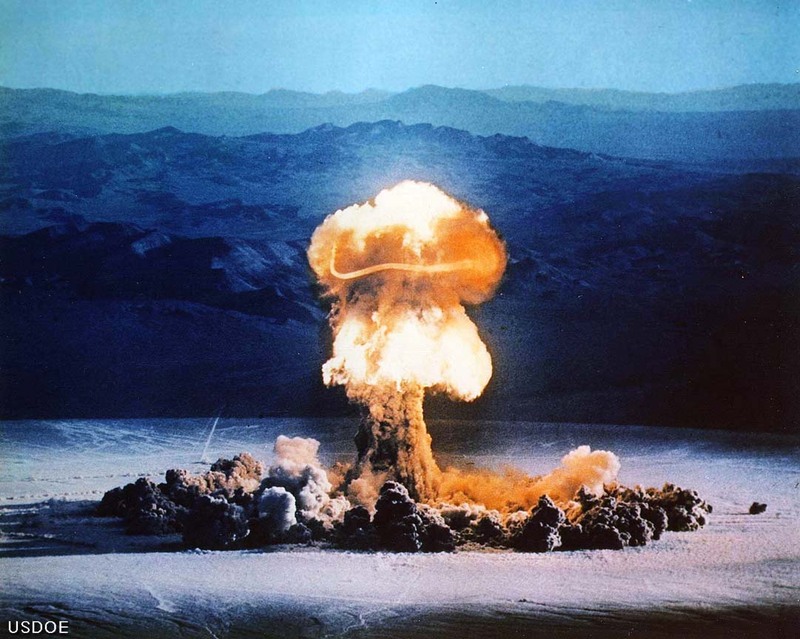 Most of the time an Event is associated with a Very Short Duration, an Explosion. An Event can take much longer. An Event can take one second or thousands of years. A Movie is an Event. The Great Pyramid is an Event. The Earth is an Event. You are an Event. An Event changes its Intensity all the time. A Concert has a Start and an Apotheosis. The Great Pyramid was almost forgotten but at this moment many books are written about the mysterious background. An Event is a Wave or a Vibration and every Event has its Unique Pattern. An Event has a Bearing (the direction or path along which something moves or along which it lies), it moves into a certain direction. An Event extends and compresses in Space/Time (A Hurricane). An Event is Born, Expands, Compresses, Dies and Dissepears. It follows a Life-Cycle. If an Event is a Vibration it can be described by a combination of Harmonics and Sub-Harmonics. Dependent on the type of Vibration an Event “dies out” (Damping, converges to a limit) or never stops. When Events are Vibrations or Waves they are able to Add Up. When an Event is “combined with” another Event a new Event is created. This is called Cause and Effect in the World of Particles. The world of Particles was created by the Greek Philosopher Aristotle. He denied the existence of the Dynamic by stating ‘There cannot be motion of motion or becoming of becoming or in general change of change’. The Greek based their view on the world on Logic and Euclidean geometry. They considered the word As IT IS. When you look at the Event of the”man who has just been run over” by a car, The Greek View is of two Colliding Parts. In this view somebody is Responsible for the Accident. When you look at the Event from the perspective of the Wave the Accident is an Addition of Two Waves that are producing a Peak of High Intensity. There is no one to blame. The accident “Just Happened”. It was an Act of the Force of Creativity, The Elan Vital of Bergson. Let’s have a look at the Design of Information Systems. A long time ago the Designers of the Computer left the path of the Analogue Computer. An Analogue Computer is based on Waves. A Digital Computer is unable to represent Real numbers and Irrational numbers (π). It is also unable to represent many rational numbers (1/3). Many “real” problems are happening in Real and Irrational Space. Digital Computers are representing the Dynamic World in a Static Way. A Program and a Database are a Static Representations of Reality. The Static changes into the Dynamic because of the Regular Pulses of the Clock of the CPU (Central Processing Unit). NIAM is still by far the most “advanced” way to define an Information System. It is hardly used because many designers don’t have the ability or have lost the ability to Listen to and to Analyze Sentences that are Spoken by the User of the System. The result of not-using NIAM is a highly chaotic internal structure of the Information System. The System is not representing Reality at all. NIAM uses the concept of the Elementary Fact (an Elementary Event), A Man is-run-over-by A Car. An Elementary Fact is a connection between two Nouns (Man, Car) and a Verb (Run-Over-By). Mostly the Verb is forgotten. The Static is still Dominating the Dynamic. The Car (A Movement) and the Man (A Movement) are dominating The Accident, The Run-Over-By. Strangely Enough the Memory of the Car and the Man fade away much faster than the Memory of the Accident. A War is remembered. The Soldiers are forgotten. I am afraid we have to wait a little while until the Very Strong Wave of the Particle has finally died out.